It is always a good time to think about and plan for you and your family’s future. Our estate planning attorneys can design documents to protect your assets, carry out your wishes, and support your family after you’re gone. Whether you need help right now with a loved one’s estate, or you want to start planning for your own family’s future, we are here for you. After a close loved one passes away, everything seems up in the air. Not only are you coping with a tremendous loss while sifting through many wonderful memories, you’re also thinking about planning a funeral, stressing about legal documents, and wondering what happens next with their belongings and assets. In these difficult times, having help can comfort you. The Bellevue estate planning attorneys at the Law Offices of Molly B. Kenny can ease the legal stresses by walking you through the probate process, interpreting legal documents into language you can understand, and assisting in making difficult decisions about your loved one’s estate. 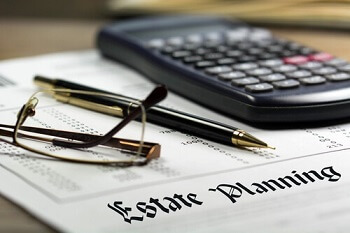 Learn more about the probate process. A Will. This legally binding document enables you to choose who receives your property and finances after your passing and gives you the chance to designate a legal guardian for your minor children if you have any. Without a will, the state decides how and to whom your property and money are divided—as well as the future of your children—so the will is a vital component of making your wishes clear. A Living Will. Unlike a will, which outlines your wishes upon your passing, a living will outlines your wishes for end-of-life medical care and decisions. Also known as an advance directive, a living will communicates details about medical care and life-or-death medical decisions in the event you are unable to speak for yourself. A Durable Power of Attorney. If you should pass away or become incapacitated, a durable power of attorney allows you to appoint a person to make decisions in your stead. This document is especially important if you frequently make important financial decisions. Without a power of attorney, no one can speak for you, or the court could appoint someone to make decisions for you—which is a long, difficult, and expensive process. A Trust. Setting up a trust allows you, the trustee, to preserve your money and property for your beneficiaries—a person or people to whom you pass those assets on. Trusts protect your assets from the probate process, unnecessary taxing and court fees, and creditors. Like a will, a trust helps you pass money or belongings on to your beneficiaries; however, a trust often gives the beneficiaries access to large assets much more quickly and easily. A Community Property Agreement. If you own property, this document more easily transfers ownership to another individual, such as a spouse, after your passing. Without a community property agreement, your property could enter probate—which could result in unnecessary taxing and court fees. At the Law Offices of Molly B. Kenny, we offer services for probate issues, wills, living wills, trusts, durable powers of attorney, and community property agreements. Our estate planning and probate lawyer, Stacey L. Smythe, brings over 24 years of experience to the table, as well as great care for her clients. If you’re ready to start planning your estate or need help with a loved one’s estate after their passing, fill out our contact form today to get started.